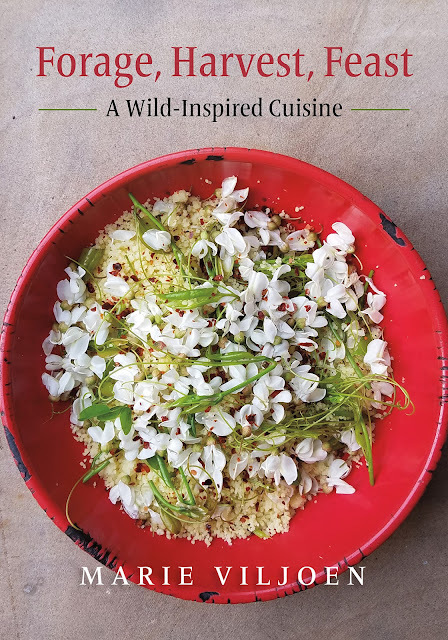 My wild foods cookbook, Forage, Harvest, Feast is at the printers at last (in the US, not in China)! It will be released on August 14th. You can pre-order it from Amazon, but also directly from my wonderful publisher Chelsea Green: For a limited time, if you enter the code FHF35 at checkout [Chelsea Green only], you will receive a whopping 35% off the $40 cover price. Forage, Harvest, Feast covers 36 plants, including international weeds and North American natives (some of which are international weeds, ha! 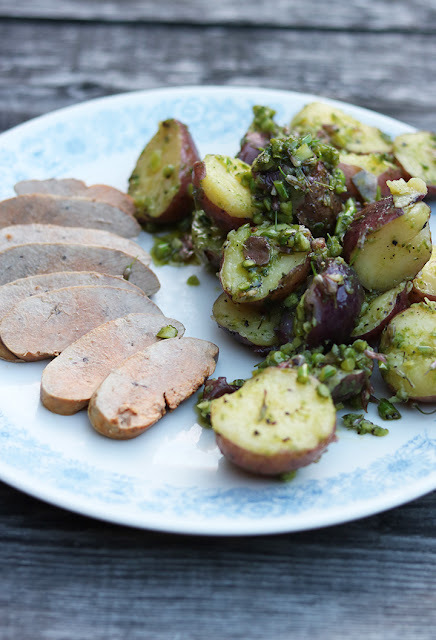 ), and contains nearly 500 recipes. There is something to forage every month. Each chapter is a plant and begins with a detailed introduction to that plant as an ingredient, putting it into botanical, ecological and culinary context. This is followed by recipes. Lots of recipes. And they are indexed for vegans and vegetarians, pescatarians and omnivores. The early reviews are really thrilling. In the midst of a bumpy year they have made my heart very warm. 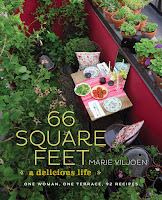 I am immensely grateful to their generous authors - foraging colleagues and wild food heroes, stellar writers and restaurateurs, food thought-leaders - for taking the time out of their own very busy lives to read galley copies and to be kind about this wild foods baby of mine (which was many more than nine months in the making! Try four years). I have copied and pasted them below from the book's online listings. There are two favorite times of day: one is when I sip my morning cup of coffee alone. Usually outside, or standing at the kitchen door, looking at the garden. The second is Just Before Dinner. I whistle at the Frenchman when it is five minutes from being ready, and he lays the table. The anticipation of sitting and sharing that meal is like a holiday in the middle of the days of madness that characterize 2018. We sit outside as much as we can, retreating indoors only when the humidity is deeply stifling, or when it is freezing. 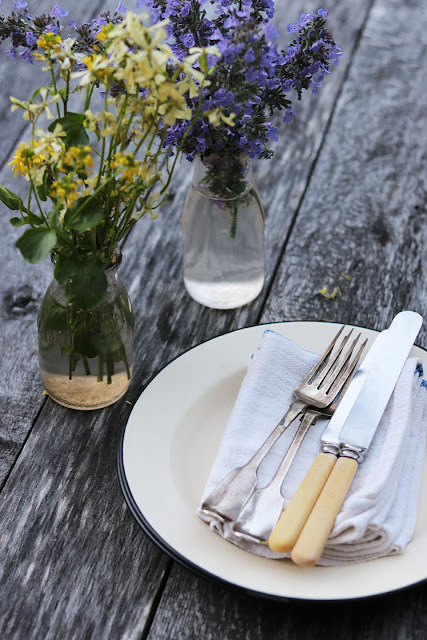 Curiously, we also eat inside when we are freshly and deeply stressed: Outside is never really private - lots of windows looking down, and if they are open, conversation may as well be public. Like a vulnerable naked oyster we retreat into our shell. We are strange New Yorkers. In a city riddled with excellent restaurants we rarely eat out. Partly because it is expensive - and why pay $18 for a cocktail when you can have a better one in your own [ahem: the landlord's] garden? - partly because we hate shouting at each other over a table. And shopping for seasonal ingredients at outstanding farmers' markets is also a New York pleasure and privilege; so is growing them or foraging for them. This is the only time we really get to talk, and we save up small events from our days to tell each other. A story about an interesting dog who looked at us, for example, or two squirrels that fell out of a tree and landed smack on the sidewalk, or the old man who is always on the street when Vince goes to work in the wee hours. We hold hands. In the garden at night there are fireflies, so we watch them as we eat. After a tentative start they are now very active, swooping high like embers from a windy fire. Sometimes they find their way indoors and hours later there will suddenly be a flash in a dark room. We rescue them and release them back to the night and their constant calling. 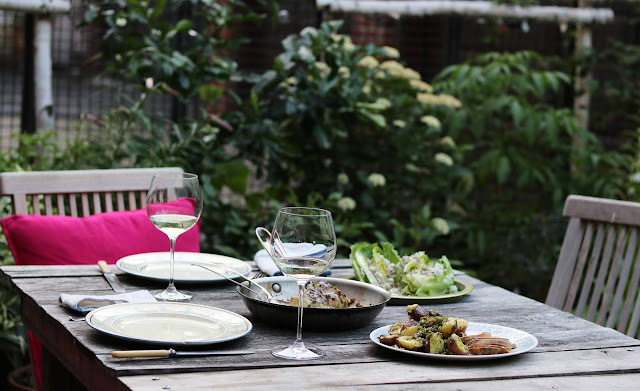 We eat outside most evenings, in the company of plants, mosquitoes and fireflies. We spray feet and arms against the skeeters - we don't like it but it's better than being cooped up indoors. The fireflies begin to blink in a delicate and understandable-only-to-fireflies choreography between dusk and dark night. We find them enchanting. This particular supper featured delicate monkfish liver, irreproachably fresh, from the Union Square greenmarket (I asked for ice to carry it home on the subway). Dusted with salt, wrapped in a thin linen napkin and steamed gently, it was then chilled and sliced. The flavor is very delicate and salty-sweet, like a breeze off the sea, and the texture is very rich. With it was a warm potato tossed with the garden's chopped up garlic scapes and lots of lemon zest and lemon juice. 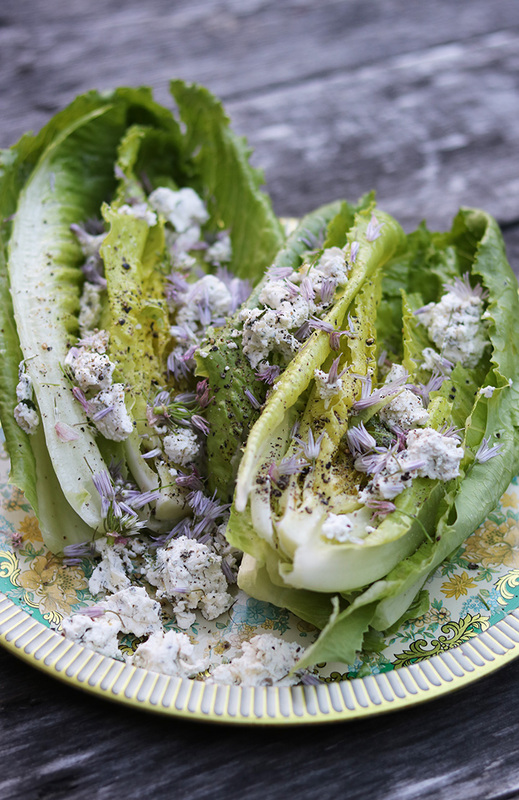 Also from the market, gorgeous heads of romaine, topped with fresh goat's cheese and chive blossoms, olive oil and white balsamic vinegar. And salt, of course - such an under appreciated and over maligned food hero. There was also a small oven-roasted monkfish tail, with brown butter, capers, and the last of the chive blossoms. It's one of the best meals I have made, conjured from, and thanks entirely to, impeccably good produce. Sometimes they are just around the corner. Linden flowers opened in Brooklyn just a few days ago, and their perfumed blooming coincides with peak serviceberry season. These flowers will be fermented in two stages, eventually becoming a fragrant vinegar. 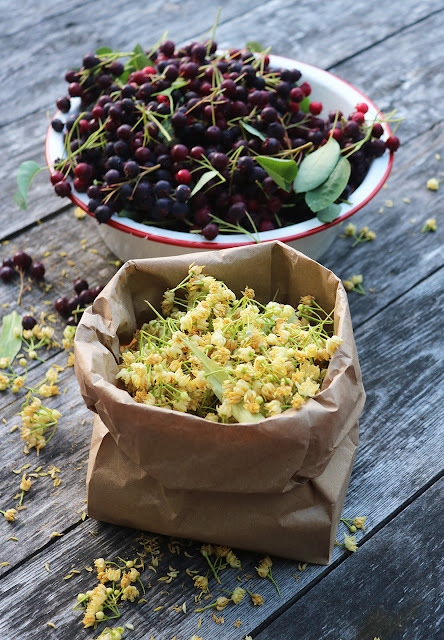 This particular batch of serviceberries (Juneberries, saskatoon) is from trees growing near the polluted Gowanus Canal and the fruit tastes better than any I have ever eaten: intense and very sweet. Go figure. With polluted soils it's the fruit that are deemed the safest to eat, as they absorb very little - at least that is my understanding from the papers I have read. Roots, stems, leaves are anther story. It's almost a shame to do anything to these berries - they are best fresh. There are many trees, all over the city. Look up. Then stay a while, grazing. We will encounter serviceberries and much more on this Saturday's Brooklyn Shoreline walk. Visit the link to book.